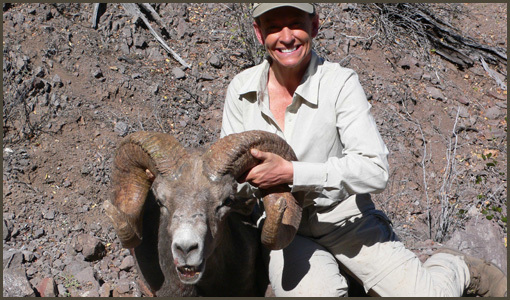 McBride Hunting Services provide full outfitting and guiding services for free-ranging desert bighorn sheep, both in West Texas and in Mexico. Our hunts are in high demand and have enjoyed increasing popularity among sheep hunters all over the world. We have over 26 years of experience and have an outstanding track record in providing our hunters with maximum opportunities for acquiring a trophy animal. This species of sheep is found at sea level all the way to high mountains, and our exclusive hunting ranches encompassing hundreds of thousands of acres afford some of North America’s best and most scenic access to this elusive game animal. The typical hunting season is September through March, and in Texas the permits are allocated by the state and are acquired by McBride Hunting Services for our clients. The arrangement for permits is similar for our Mexico-based hunts.